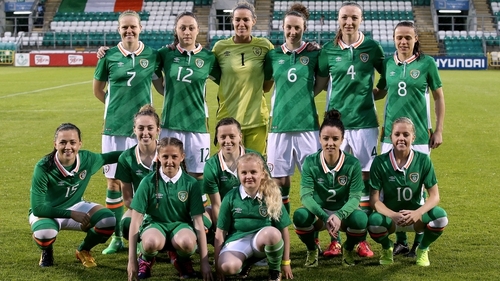 The Republic of Ireland Women's senior side will start 2018 with a trip to Portugal for two international friendlies ahead of their crucial 2019 FIFA World Cup qualifiers in April. Colin Bell's side enjoyed a year to remember in 2017, which was capped off by their historic draw against the European Champions, Netherlands, to remain unbeaten in their qualifying campaign. With the games set to continue with a double-header against Slovakia and the Netherlands in April at Tallaght Stadium, Bell's side travel to the Azores for two international friendlies. Ireland will face Portugal on the 18 & 21 January with the fixtures set to kick off at 5pm and 3pm respectively. Both games will take place at the Estadio San Miguel in Ponta Delgada. Ahead of travelling to the Azores, the WNT are set to train at the FAI National Training Centre on Monday next at 4pm. Members of the media are invited to the training session with players and management staff available for interview upon request.